While there has been quite a lot of debates about whether white and black could even be called colors (wonderful explanation here), I’d rather not speak in length of that. Black is the absence of all color. Untainted. Unblemished. It is possibility and potential, for it has nothing of it’s own – some could say, no identity. I remember having a discussion with a friend on the subject. She opined that black couldn’t even be a color, it’s much like a zero. And I thought, well, if you add zero to the end of any number, that’s how you get an infinity of numbers. Zero may represent a vacuum in itself. But it can also represent infinity. On a similar note, black may represent something we’d rather avoid. But is it not true too, that those things we avoid are often the very things that challenge us and push us to our limits? After all, if something were easy, everyone would do it. Everyone would love it. It’s probably not easy to love, or even comprehend the infinity that black represents. Infinity threatens to make us lose ourselves at the cost of knowing everything else, and we’re not exactly sure how pleasant that would be. Regardless, there’s a growing love for black. I’m happy about that. Now on to see all the other things that have been misunderstood or oppressed or ignored, so I can love them more. I love black…it makes all the other colors shine! What a happy start to a day! Thank you for this. I already loved black but you made me love it more. Black may be like zero, but zero too, is a number. Black may be the absence of all colours, like cold is the absense of heat but it too is felt! Black is my hubby’s favorite color. When our grandsons asked him about it and heard his response, they couldn’t believe it! There is beauty in black. As a child I suppose we all loved and wanted the world to be full of colors, and black really wasn’t one! As you so expertly said, I see black as infinity. An infinite number of possibilities, an infinite number of choices. The funny thing is I personally like the color white. Maybe because my experiences have taught me to look deeper than what is visible on surface. White does have it’s beauty of course, no denying that. 🙂 Something that’s seen as pure despite being an amalgam of all the seven colors. This ‘consensus’ that this color means one thing and that one means this I’ve always thought quite strange. I think each color means a different thing to each person. Like, my favorite color combination for a very long time’s been black and red. And people always talk of red as some loud, fierce color. But it can also be quiet and gentle. Like.. um, blood? Lovely read! Really enjoyed this! 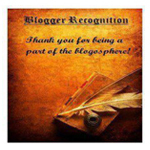 If you like, I was going to link to your blog for my next Sunshine Blogger Award so new readers could check it out. If you’re okay with that, would you like to be mentioned as Quill or Aaya? (I’ve found that linking a name to a blog helps humanise it easier for new readers) Which name would you prefer? So glad you enjoyed it, and thank you again. I really appreciate that! Of course I’d like to do it, and it’s really kind of you. 🙂 I might need a little time to think and reflect and write is all! I never imagined that a colour like black could hold so much meaning. I loved the way you compared it with zero. Yes, black does seem to symbolize infinity and now that I’ve realized why, I love black even more. Such a beautiful post.